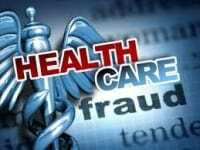 WASHINGTON – A Los Angeles, California-based dentist pleaded guilty on Thursday to a March 2018 indictment charging him with health care fraud arising from his false and fraudulent billings for crowns and fillings, which were never provided to patients. Assistant Attorney General Brian A. Benczkowski of the Justice Department’s Criminal Division, U.S. Attorney Nicola T. Hanna of the Central District of California, Assistant Director in Charge Nancy McNamara of the FBI’s Washington, D.C. Field Office and Assistant Director in Charge Paul D. Delacourt of the FBI’s Los Angeles Field Office made the announcement. Benjamin Rosenberg, D.D.S., 58, of Los Angeles, pleaded guilty to one count of health care fraud before U.S. District Judge John A. Kronstadt of the Central District of California. Sentencing will take place on May 23 before Judge Kronstadt. This case was investigated by the FBI. Trial Attorney Emily Z. Culbertson of the Criminal Division’s Fraud Section is prosecuting the case. The Fraud Section leads the Medicare Fraud Strike Force, which is part of a joint initiative between the Department of Justice and the U.S. Department of Health and Human Services (HHS) to focus their efforts to prevent and deter fraud and enforce current anti-fraud laws around the country. Since its inception in 2007, the Medicare Fraud Strike Force, which maintains 14 strike forces operating in 23 districts, has charged nearly 4,000 defendants who have collectively billed the Medicare program for more than $14 billion. In addition, the HHS Centers for Medicare & Medicaid Services, working in conjunction with the HHS-OIG, are taking steps to increase accountability and decrease the presence of fraudulent providers.